KIM Jenner cherished her first meeting with Laura Geitz at a junior clinic in Townsville five years ago and she marked the occasion by using a photo of the pair as her Facebook profile pic. "That was so exciting," she recalled. "She was definitely one of my idols growing up. "Never really thought I'd be in the same team as her." 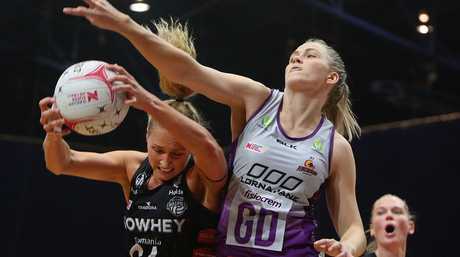 Photos of the pair together - in the Queensland Firebirds purple - look like becoming a lot more common. The 20-year-old won a spot in the starting side for the first time last Sunday in the all-important win over the Giants, playing goal defence alongside the 30-year-old goal keeper. The milestone match was two years in the making, since Jenner first graduated from promising junior from far north Queensland to a Firebirds training partner in 2016 - just prior to Geitz taking time away from the game for the birth of son Barney. Jenner recalled of that second meeting: "I was very starstruck when she walked into the training venue. "I think I had to throw the ball to her in the drill first-up and I was so nervous I don't think it went to her." Jenner made her Super Netball debut last year, before Geitz arrived back this season ready to resume both playing duties and role of mentor. "It's amazing playing with Geitzy at the back there," Jenner said. "She's such a calming (influence) and gives you so much confidence. She has so much knowledge and she's so great at sharing it with us." Jenner replaced Tara Hinchliffe in the starting roster last weekend, but found out from coach Roselee Jencke only minutes before match time in Brisbane. "Just before the game we have our team meeting and she lets us know who our starting seven is," Jenner said. "You're always preparing for a game as if you're going to play, but it was definitely unexpected. "It was really exciting to be able to get out there and play the whole game." Jenner said there was no hard feelings from Hinchliffe. "We've grown up playing together. We're good friends," Jenner said. "We're all very supportive of each other." Jenner and Geitz set the tone for the 14-goal win over the Giants, forcing early turnovers and keeping direct opponents Susan Pettitt and Jo Harten relatively quiet. In tonight's pivotal round-12 clash, the fourth-placed Firebirds are hosted by ladder-leader the West Coast Fever and their superstar goal shooter Jhaniele Fowler at Perth Arena. Fowler leads the competition in scoring with 616 goals. Cailtlin Thwaites is next best (449). "It's definitely going to be a challenging game," Jenner said. "We've done our homework ... concentrated on what we did well in that last game and taking that into this next game." The Firebirds beat the Fever 71-61 in round five. Jenner said it was a bonus having another imposing Jamaican goal shooter, Romelda Aiken (438 goals), and Australian Diamonds goal attack Gretel Tippett to practise with. 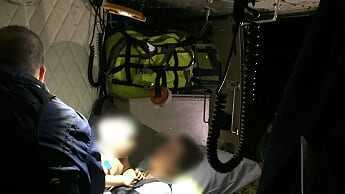 "They are great at giving us defenders' advice," she said. 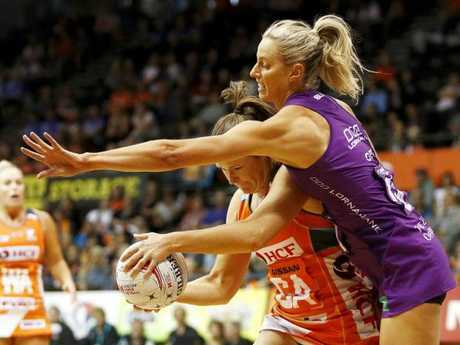 Needing a win to stay in the top four, with the Lightning breathing down their necks, Jenner said the Firebirds had taken a relaxed approach to their Perth assignment. 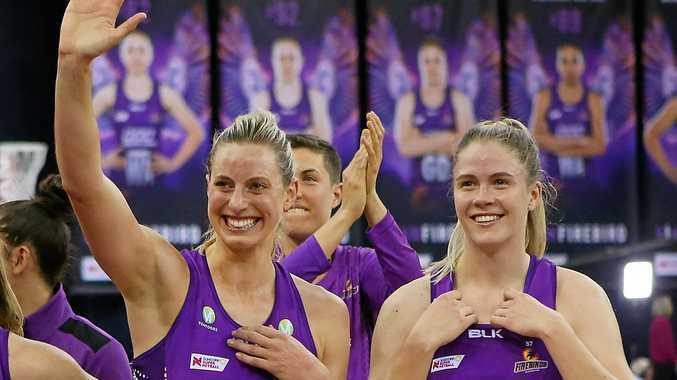 "We play our best netball when we just chill, having fun and trusting our game plan instead of getting too worried about all that (finals pressure)," she said. Jenner doesn't know if she will start just yet. "I'll just play it by ear and see who gets the call up," she said.